Several of the leaders of each of the new affinity groups on campus. 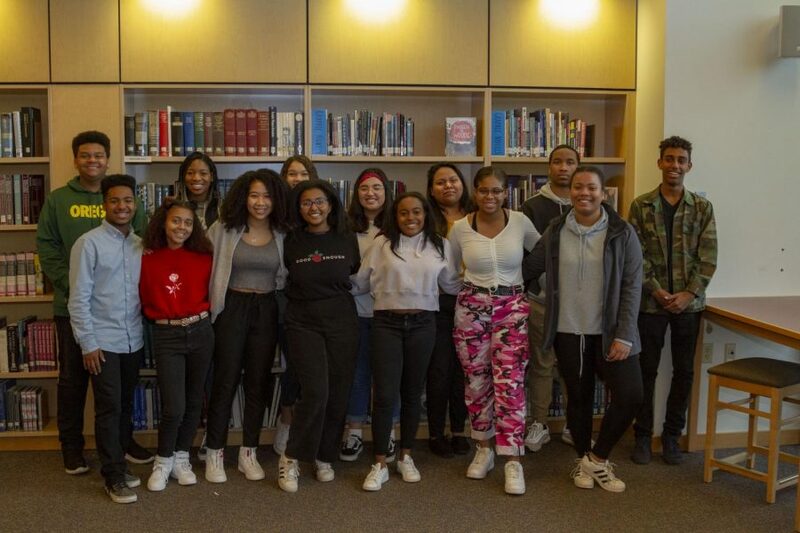 Working towards spreading awareness, diversity, and comfort for all students throughout La Salle, three new affinity groups have been active this school year: the Black Student Union, Unidos en Poder club, and Asian/Pacific Islander club. These new groups coincide with an effort by the school administration to push for more equity and inclusion. In hopes of doing so, Vice Principal of Student Life Mr. Brian Devine and Vice Principal of Curriculum and Professional Development, Mrs. Alanna O’Brien engaged in a yearlong program last school year, through the Center for Equity and Inclusion. 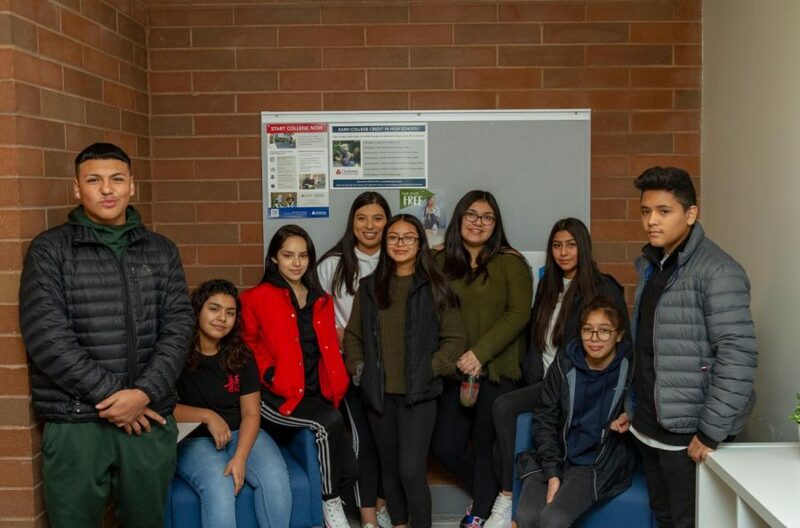 On Dec. 14, members of the several different affinity groups gathered after school, participating in a potluck, and watching the TV show “Fresh Off the Boat”. However, he added, “there are also lots of differences within those groups so I’m grateful that we are providing space for specific affinity groups that can collaborate together around issues that relate to multiculturalism, but that also are able to celebrate their own unique identities, and their own unique experiences,” Mr. Devine said. Members of the Black Student Union, in a photo taken Jan. 23, 2019. The Black Student Union is run by juniors Amira Tripp-Folsom and Mary Gach, with staff moderator, Vice Principal of Student Life Mr. Devine. A pivotal moment to spur the creation of the BSU was the assembly last March that focused on equity. Several members of the school community spoke about their experiences having to do with race and ethnicity. If you are interested in trying to get involved in the BSU, contact one of the club leader: Amira Tripp-Folsom and Mary Gach, or the staff moderator: Mr. Devine, at [email protected]. Members of the Unidos en Poder Club, in a photo taken Jan. 18, 2019. Bojorquez-Quintero explains why it’s important to have a club that lets people feel comfortable with who they are. 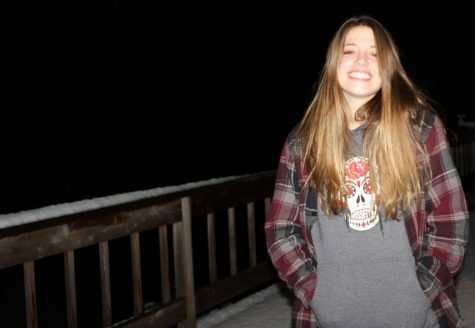 “It’s a really hard feeling to describe; this is a whole other level of feeling left out,” she said. “Being biracial is also really important, and being able to be proud of your uniqueness,” Harding said. Harding and Bojorquez-Quintero said that they are trying to include everyone who wishes to get involved. “We really want to let people know that it’s not only a club for Latinos. We’re open to everyone. We really love focusing on our goals, but if other people [are] involved too, then that would make us more successful,” Leslie said. “And I think getting other people’s perspectives [helps, too],” Harding added. To get involved with the Unidos en Poder club, contact one of the student leaders: Emily Harding and Leslie Bojorquez-Quintero, or the staff moderator: Ms. Mendez, at [email protected]. 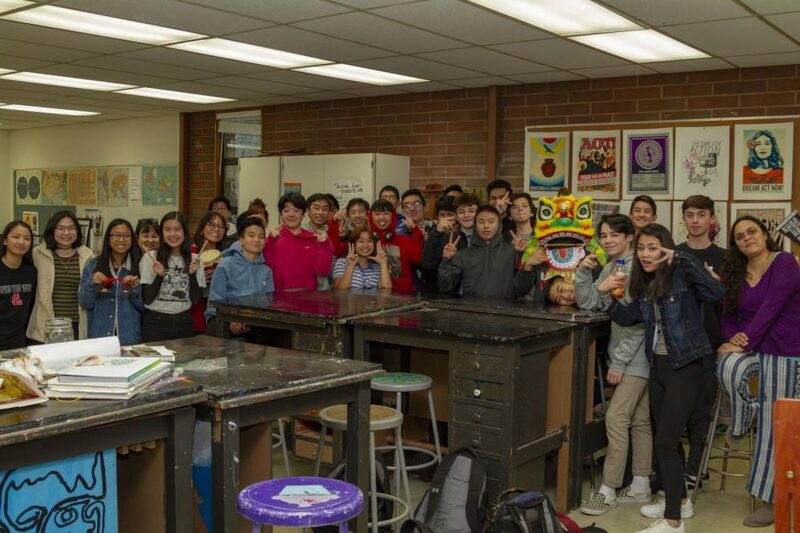 Members of the Asian/ Pacific Islander Club, in a photo taken Jan. 18, 2019. 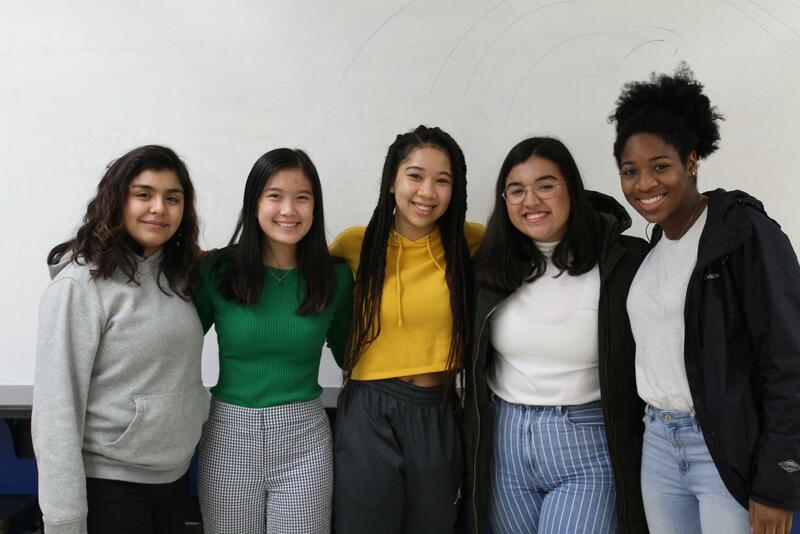 Run by juniors Hanna Nguyen and Alison Paguio, sophomore Danny Nguyen, and the staff moderator, counselor and social studies teacher Ms. Kelvin, the Asian/Pacific Islander Club is looking to include everyone in learning about their culture. Hanna created the club, then asked Alison and Danny to help her lead, and develop the API. During the club meetings, Danny Nguyen has noticed, “a lot of people who I see [that] are Asian in our club, really take a sense of pride in their culture, and I think that’s really amazing” He said. To find out more about the API, or get involved, contact one of the student leader: Hanna Nguyen, Alison Paguio, and Danny Nguyen, or the staff moderator: Ms. Kelvin, at [email protected]. An earlier version of this article misstated the name of one of the new affinity groups. It is Unidos en Poder, not Unidos en Ponder.